The work day is finally over, plenty of time to catch the train; no rush to go home anyway. The suburbs is no place for a cocktail enthusiast, not unless you like drinking at Friday’s or Applebee’s. No, best to stay downtown a little while longer and grab a proper drink. 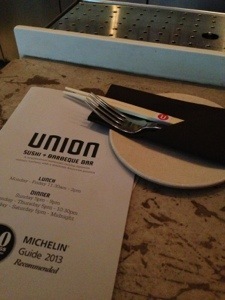 Tonight I found myself returning to Union Sushi + Barbeque. 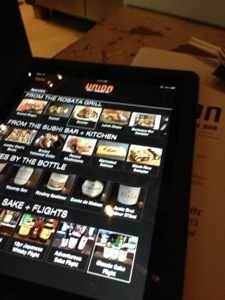 One of our writers, Emily, wrote about Union a while back. Everything she said about the place by the way is true, it’s a pretty amazing restaurant. Tonight however, it’s all about the bar. 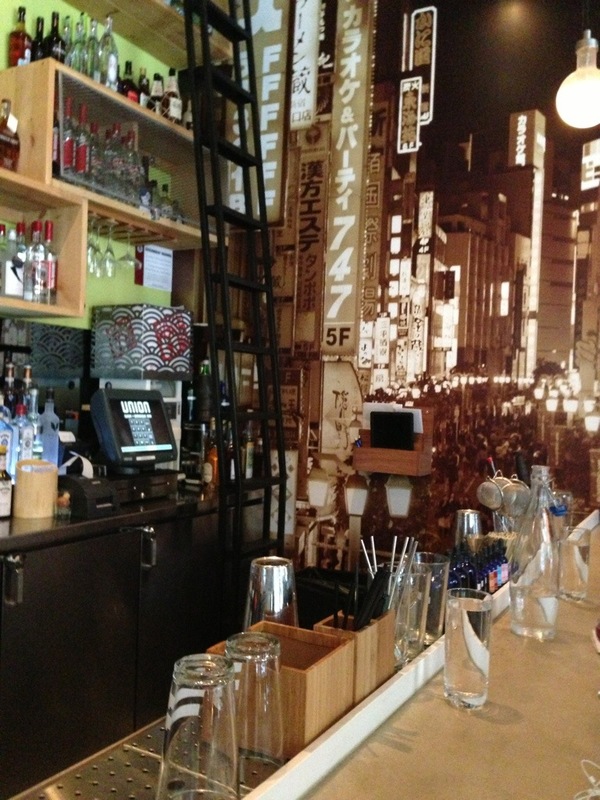 Behind the bar was a veteran mixologist named Ken. I assume he’s a veteran bartender by his encyclopedic knowledge of liquor and his precision in making craft cocktails. “What’s your favorite drink on the menu?” I replied. By the looks of the ingredient list (see below) this was on serious cocktail. Something about Ken’s demeanor (serious yet approachable) assured me this was worth trying. You can tell he doesn’t take his craft lightly. 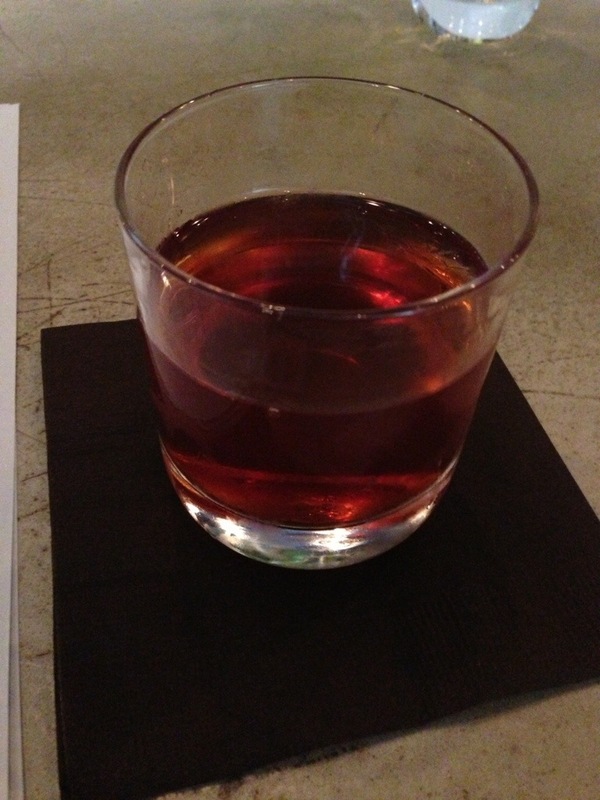 What was presented was a very small, very chilled glass. Ken took a piece of what I think was orange peel and gave it a quick squeeze, releasing the oils from the rind into the glass. The first thing that hits you is the citrus aroma from the oil. I am having a hard time to accurately describe the taste, mainly because not a single ingredient overpowered or stood out over the rest. They all somehow combined to form something completely new. Delicate and slightly sweet. Silky texture with no burn or long finish. Definitely a very dangerous cocktail. 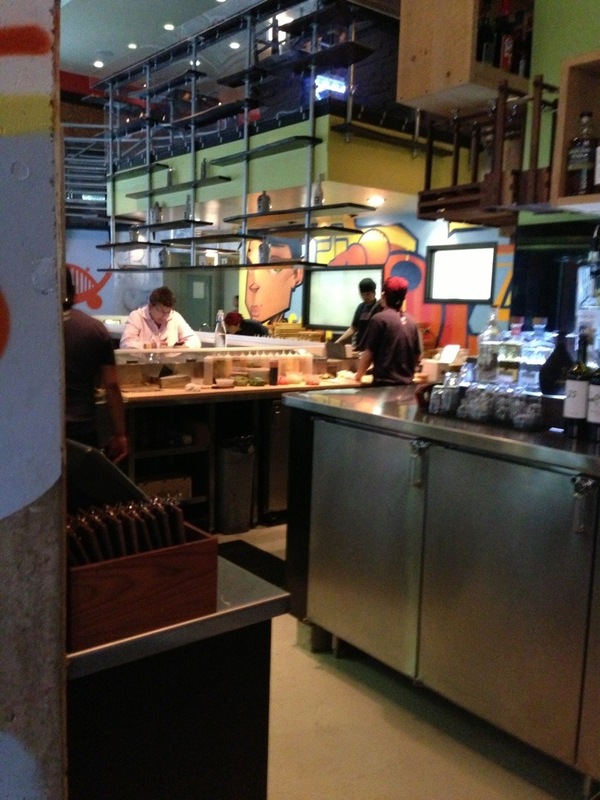 Looking over to the open kitchen, I know I had to eat something. As much as we try, man cannot live on booze alone. The menu(s), impressive as always. But tonight is a bar night so I went with a couple skewers from the Barbeque Bar; reminiscent of yakitori, cooked over a robata grill. Several options were available but decided to keep it simple and go with chicken thigh with japanese curry (not spicy) and beef filet with ginger soy. OH MY GOD, YUM!!!! could have eaten those all night.. had to order a second filet skewer it was so good! Something on the menu that caught my eye was the authentic japanese sodas. 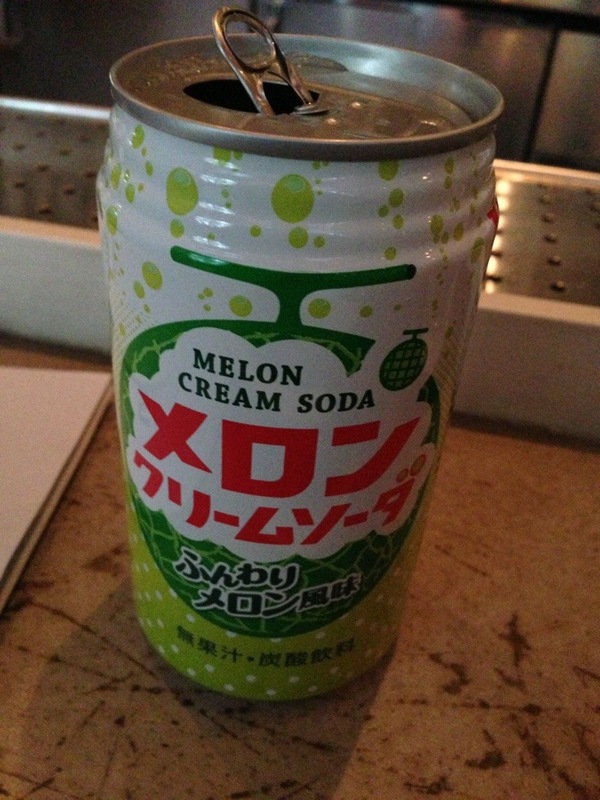 Someone behind the bar suggested the Melon Cream Soda as they were out of grape. I love honeydew and this was really delicious. With my glass and plate now empty, it was time to go. The tastes, big. The tab, small. On the whole it was a great place to unwind after work.